If you are a person who loves to write everything that happens in your life through facebook, this holiday season update your status with a cute and creative Christmas message. Disclose the love for family and friends, is the best thing we can do in this holiday season, and be able to dedicate to everyone through facebook. This wonderful social network gives us the ease of being in touch with friends and family who are both: near and far. Would you like to update your facebook status with a beautiful Christmas phrase? 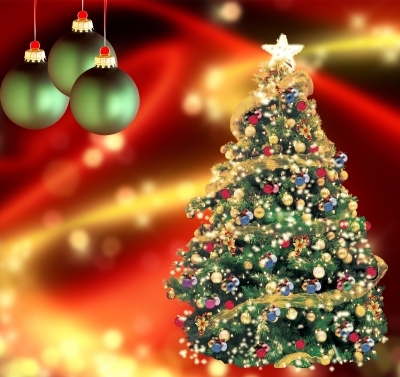 In this article you will find the best states for facebook Christmas. After you update your status with these messages, you will be the envy of many friends and they will comment on it, wishing you a wonderful Christmas. -Today when midnight comes I’ll be very happy to witness again the birth of Jesus, my wish for everyone is to have a lot of love and peace in their lives, happy Christmas. -What I like most about Christmas is sharing, because sharing fill us with joy, share our joy this Christmas and also these words of love for everyone to have a nice Christmas. -We will be happy to celebrate the birth of Jesus Christ, send your friends and family a Merry Christmas message, and have a Christmas etched in your mind and heart forever, happy Christmas to all my friends. -Today as we celebrate Christmas we share it with people who make us happy, it would be good to repeat this time every day, life is beautiful when we love people who make us happy, merry Christmas filled with hope, love and unity. -On this night the stars will bright because the child of God will be born on earth again to give us his infinite love, merry Christmas. -I love Christmas when I’m surrounded by people who I appreciate, I will express my love to each of them and I will be happy to be with them, Merry Christmas to all families in the world. -The last thing that matters in Christmas Eve is having a lot of food or just a piece of bread, the most vital thing is to share with those we love and are always with us, let this moment help us realize how wonderful is sharing in Christmas. Merry Christmas to you. -Each passing day is always better than the last one, because when it approaches this time of year the love I feel for my family has grown much more, today I will be happy and thank God for having a family so cute, happy Christmas. -The Christmas tree has many gifts and my heart has much love for my family and loved ones, these feelings are the best gift to the people you love, that everyone can have a beautiful Christmas. With these Christmas statements for facebook, you would be the envy of many, show your feelings towards your friends and loved ones and post them on your Facebook wall.